Maintaining a healthy, safe aquarium environment for your fish is important, and regularly testing your water levels in the aquarium is critical to success. EasyStrips are a perfect solution. By quickly testing for all water quality issues in your aquarium water, EasyStrips provide accurate results with minimal effort, and have the most advanced technology in water testing because they're designed from the same medical and scientific laboratory technology. A healthy aquatic environment starts with clean water, so be sure to use EasyStrips to promote a vibrant aquarium. 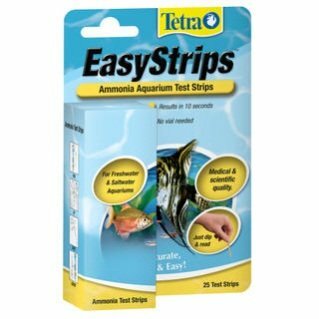 Tetra's Ammonia Strips test only for ammonia levels present in your aquarium. They too only require a dip in the aquarium water and will give you the quickest results! In just ten seconds, you will find out if your ammonia levels are safe in your aquarium. Ammonia Strips are also available in 25-strip count and 100-strip count packages. 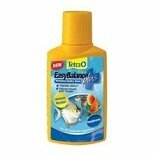 Tetra Aquarium Test Strips work quickly to provide accurate results and help you to treat your aquarium effectively. 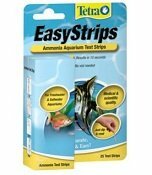 Test Strips come in three varieties that offer varying benefits; including 6-in-1 Easy Strips that offer complete testing in only 60 seconds, and Ammonia EasyStrips that specifically test ammonia levels in your aquarium. Take a look at the Chart below to see which Tetra Aquarium Test Strip is right for your aquarium. 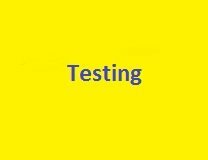 Tetra EasyStrips make regular water testing a breeze. When you use Tetra EasyStrips you can quickly determine exactly what your aquarium needs to thrive. 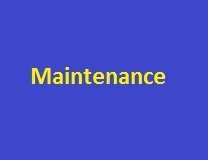 Tetra sets the bar high in water care treatment and maintenance with color-coded system that can remedy many typical aquarium problems. From aquarium start-up and routine maintenance, to trouble shooting solutions and testing, Tetra offers everything you need to keep your aquarium water healthy. Take a look at the chart below to see the full line of Tetra water care treatments. New Aquarium? 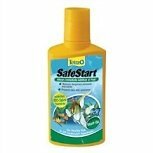 Tetra SafeStart allows you to safely add fish to your tank immediately. Use AquaSafe whenever adding water to neutralize chlorine and heavy metals. Use EasyBalance weekly to keep your water chemistry balanced. High ammonia? Use AmmoniaSafe liquid or tablets. Cloudy water? Clear it up with WaterClarifier liquid or tablets. Algae issues? Keep in check with AlgaeControl liquid or No More Algae tablets. Ammonia Results in Ten Seconds. This kit allows for easy and accurate measuring of calcium levels to help in maintaining a helthy aquarium. Replacement box of 24 test tubes and caps. 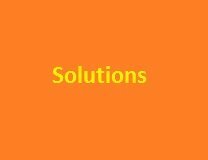 For use in all Aquarium Pharmaceuticals water testing kits where the original tube has been lost or damaged. 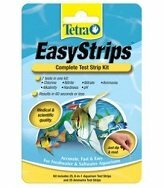 Top Level Categories for Tetra 19540 EasyStrips Ammonia Test Strips, 25-Count.